Yay, it's good to be back in LP after so many weeks of absence. I took this photo one cold afternoon when I saw my 5-yr. old niece asking her mom for a candy again at their mini store. 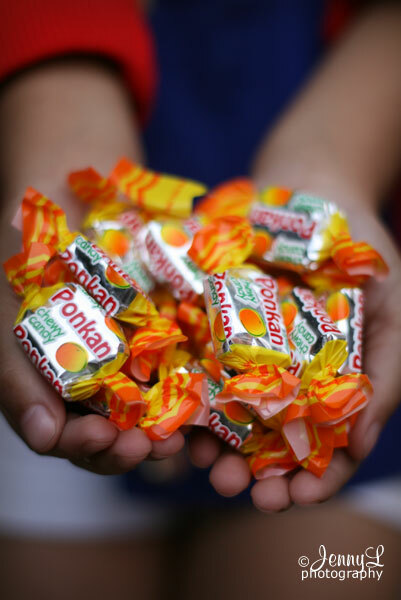 She loves this ponkan candies so much that she can ate probably around 6 or more pcs. in just one sitting. No wonder why her teeth have cavities already lol.